Data & Society > our work > blog posts > Why Do Crowds Contribute To Crowdsourced Journalism Campaigns? Why Do Crowds Contribute To Crowdsourced Journalism Campaigns? 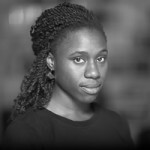 In this blog post, D&S fellow Mimi Onuoha discusses the motivations of those who contribute to crowdsourced journalism as a part of the forthcoming report “Guide to Crowdsourcing”.